1988 Bordeaux wine is a much better version of 1994 Bordeaux. Some of the wines at the top are nice, with the finest examples coming from Pomerol. The wines are firm, tannic and in the Medoc, they can display some green character in the finish. 1988 Bordeaux wine is the product of the tropical conditions experienced in the Left Bank. After a mild winter, the 1988 Bordeaux vintage endured a wet spring, which forced vintners to spray to combat rot. Flowering took place later than usual. July was about average, August warmed things up and September saw more rain fall on the vines. The wet spring conditions combining warm, humid weather were repeated during the harvest. This caused many growers to harvest early, due to fears of rot. The grapes were not fully ripe. This was a major problem for the producers in the Medoc as some of their Cabernet Sauvignon had only reached sugar levels of between 8% – 9%. Those producers needed to chaptalize quite a bit. The 1988 Bordeaux wine harvest was a large crop with the highest yields of the decade at that point. 1988 Bordeaux wine is best in the Right Bank, due to the Merlot, which had a better chance of ripening. Pessac Leognan produced some nice, but not outstanding wines. However, nothing was close to stunning. 1988 Bordeaux wine marked the modern age of wine for some wine makers in St. Emilion. Angelus, Troplong Mondot and Tertre Roteboeuf and other highly-respected Bordeaux wine producers in the Right Bank all began producing wines equal to their terroir. As time marches on, the wines from the Left Bank have taken on more green character. This will continue as the wines age. But in Pomerol, where the berries were harvested under above average to good conditions, some of the 1988 Bordeaux wine turned out well, in a slightly austere style. Cabernet Franc did not develop as well as the Merlot, so many of the St Emilion wines are not as rich or full as they are in Pomerol. However, there is one bright spot for 1988 Bordeaux wine. 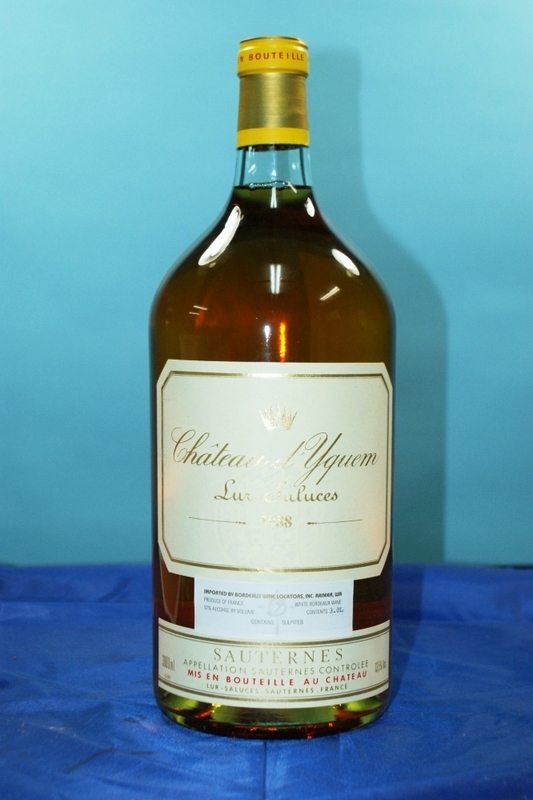 Sauternes and Barsac are superb! 1988 is a sublime year for the sweet wines of Bordeaux. In fact, it was the first year of a legendary trio of great sweet wine vintages for Bordeaux. In style, they are big, rich, sugary, concentrated, lusty, sweet Bordeaux wines which continue to age, evolve and improve.